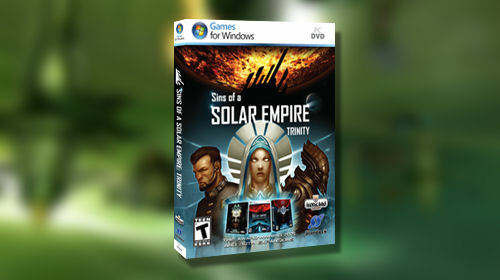 Stardock has announced the Sins of a Solar Empire: Trinity pack. What exactly is the Trinity Pack? It's Sins of a Solar Empire and its two expansions: Entrenchment and Diplomacy. Of course the latter isn't quite out yet, but if you preorder either it or the Trinity Pack you'll get in the beta for Diplomacy immediately. The entire collection spans 25 years of space battles, all of which are available to play in a variety of cooperative options scaled to your liking. While Entrenchment adds giant space stations, Diplomacy will add more tech tree and social options to the game. Diplomacy is available separately for $10, and the Trinity Pack will be available on February 9th for $39.99 on Impulse and at retail outlets.